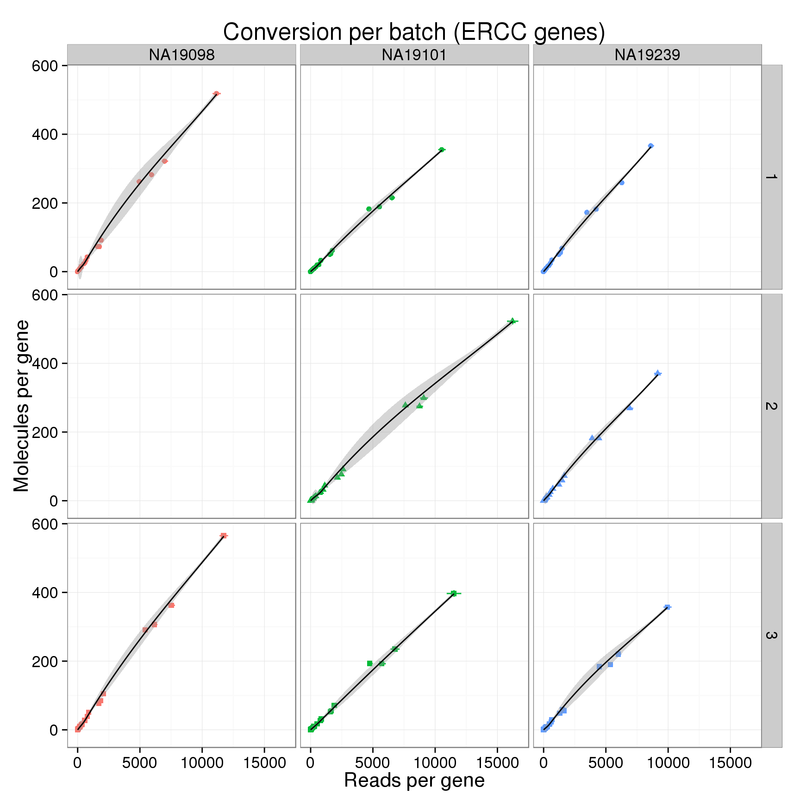 As seen above with the total counts, the conversion of reads to molecules varies between each of the 9 batches. Below I fit a loess transformation to each individually. It would be ideal if we could somehow we could correct for these differences and have them all follow a similar transformation from reads to molecules. 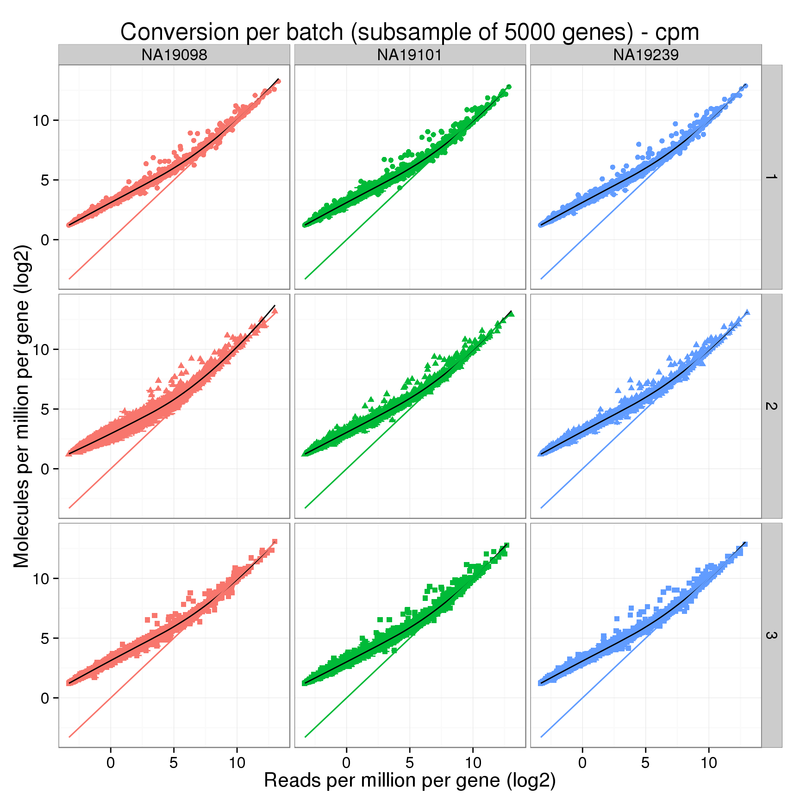 In order to be able to make this plot, I have to subsample to fewer genes. Otherwise it runs out of memory. Summarize across the single cells for each of the 9 batches. Compare the counts per million. 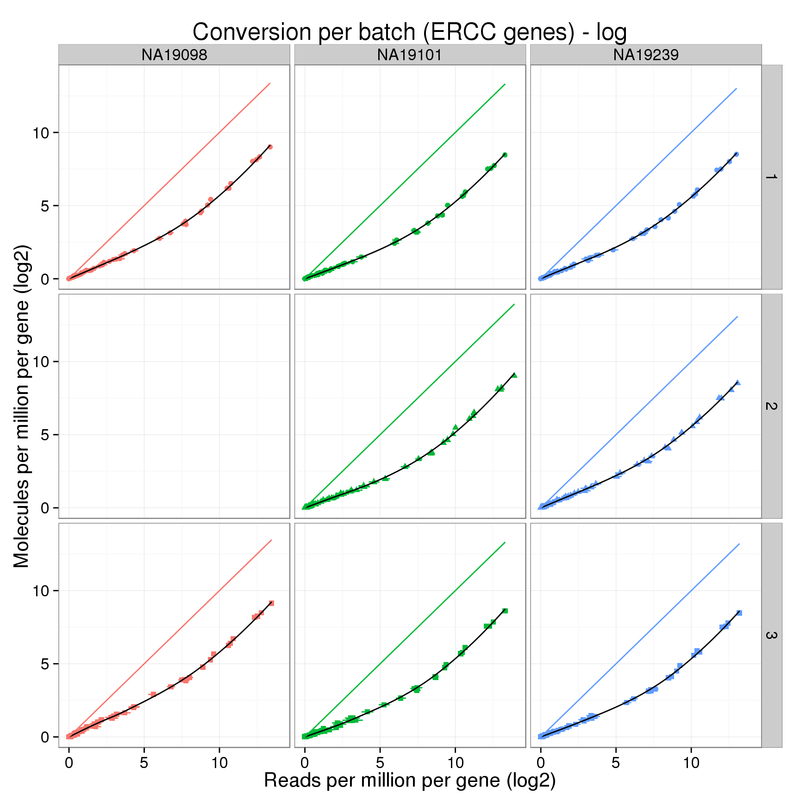 Now visualizing only the ERCC. Can we identify batch effects in the conversion of reads to molecules by closely comparing the loess fits? Below I calculate two statistics for the log2 cpm data. The first is the maximum absolute difference between the loess curve and the line y=x. 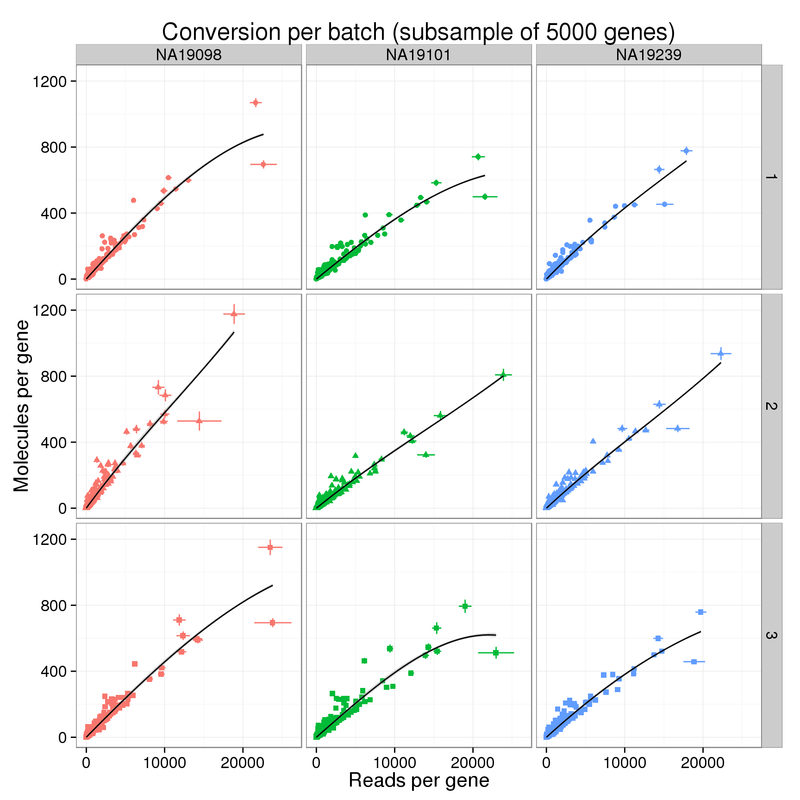 The largest differences are observed for the lowly expressed genes. 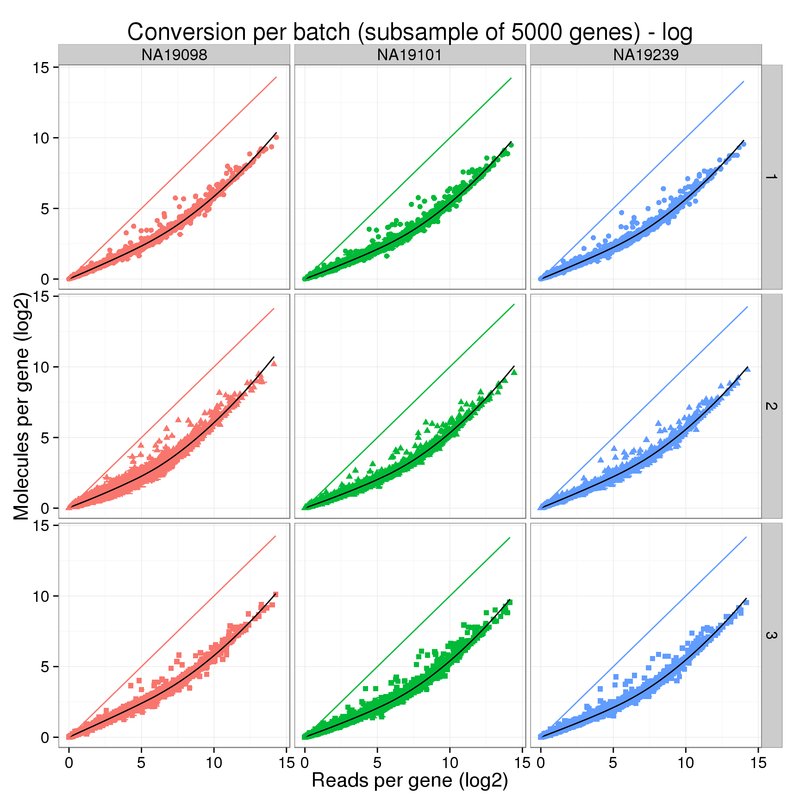 The second is the x-coordinate (the mean number of log2 reads per million per gene) where the loess curve and the line y=x intersect. The first section below is simply the code I used to explore one batch. Here are the functions I used. # Perform loess regression and return the predicted y-values. # Find the x-coordinate where the loess curve and the line y=x intersect. 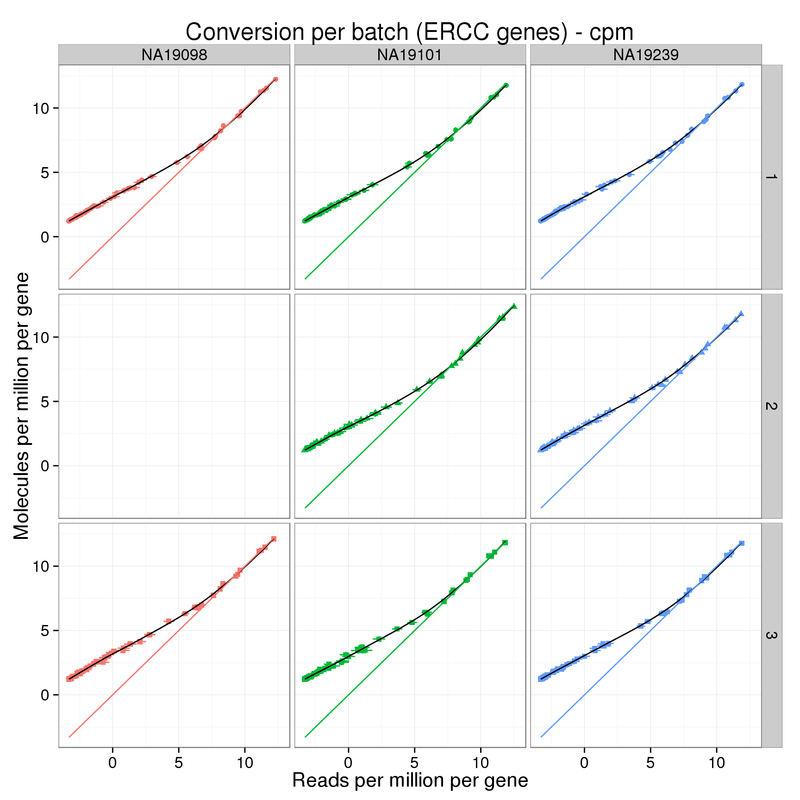 These are the results for 5000 randomly subsampled genes (include endegenous genes and some ERCC). These are the results for the ERCC alone.